PRAXIS - Practice of Innovation of Systems - was a two year project funded by the European Commission as part of the Leonardo Project. Brightonart as one of eight European partners co-developed the project web portal and conducted research into the project area of study - promoting the use of ICT in education in the European Union. 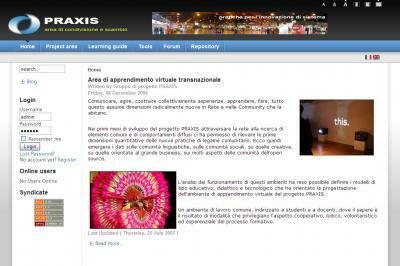 The web portal was developed in Italian and English using the open source CMS Joomla!